The mission of the Salem-Ota Cultural Exchange is to promote cross cultural understanding and friendship between the cities of Salem, Massachusetts and Ota, a borough of Tokyo. In 2019 we will again host an adult tour to Japan. You will visit Buddhist Temples and Shinto Shrines, participate in a Japanese Tea Ceremony and many other cultural activities. BUT this is not a “bus tour. 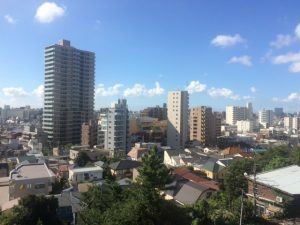 “ You will have the opportunity for an overnight stay in the home of a Japanese family, exchange ideas with colleagues from Japanese schools, government, and businesses, and have free days to explore on your own with a volunteer from Ota. You will get to know the people and the culture of Japan. Salem Residents! Don’t miss the opportunity to visit the Far East! Itinerary from the Summer 2017 Trip. Approximate cost of the trip is $3,500.00 This includes: airfare, accommodations, most meals, bus and rail transportation, and memorable welcome and farewell parties!